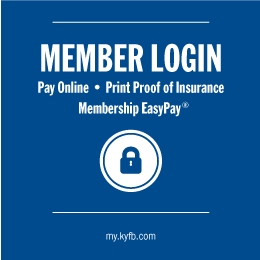 Louisville, KY (December 1, 2017) – Recognized for the achievements of its Young Farm Program this year, Fayette County Farm Bureau received the 2017 Gold Star Award of Excellence during Kentucky Farm Bureau’s annual meeting in Louisville. The award honors a county’s Young Farmer Committee for its active participation in Farm Bureau leadership development programs, state competitions, and educational or promotional initiatives. 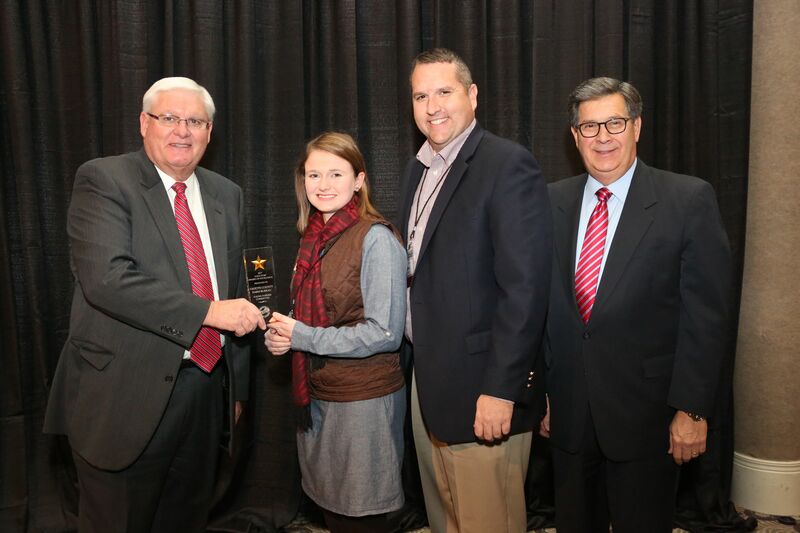 Danielle Milburn, Young Farmer Chair for Fayette County Farm Bureau, and Sean Millard, President, Fayette County Farm Bureau, accept the Gold Star Award of Excellence from Mark Haney, Kentucky Farm Bureau President and David S. Beck, Kentucky Farm Bureau Executive Vice President.